CEOs of construction companies have forecast improved prospects for the industry this year amidst an economy adapting to changing focus from the resources sector. The Australian Industry Group, in its annual Business Prospects Report that surveyed 241 chief executives, finds 30 percent of construction CEOs expecting business in the sector to lift this year with 57 percent foreseeing an increase in revenue for their own businesses. An increase in employment is also anticipated by some, in line with the predicted growth. Only 20 percent were of the opinion that conditions would deteriorate. These numbers are in marked contrast to other sectors (except services) and overall trends, showcasing the optimism of the industry and heralding it as a major player in the changing economy. In analysing the factors for growth, the CEOs identified certain key strategies. These included increased sales of existing products (32 percent of respondents), development of new products (21 percent) and developing new markets (19 percent). 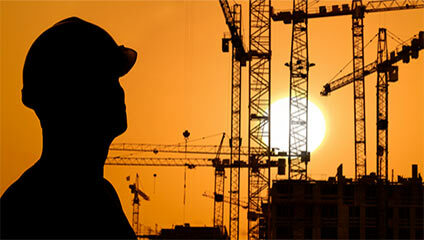 The report bears out some of the signs of an improved construction outlook that are being seen. Looking at the last month of 2013, seasonally adjusted construction in December was a fifth more than activity the same time a year before. Additionally, 2013 also saw an increase in the dollar value of approved non-residential properties from $34.7 billion (in 2012) to $37.4 billion. Combined with the upbeat sentiment in industry executives, 2014 is looking to be a good year for the sector.